Kosovar Occupational Safety and Health Association(KOSHA) , was established on 13 August 2009 year , by a group of enthusiastic who have seen the great need to contribute in this area in Kosovo . 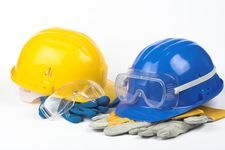 The main purpose of the Association is to act in the field of safety and health at work based on the Kosovo Constitution, laws and valid legal regulations. Association deals with professional issues , and monitors the development of Occupational Safety and Health at Work and care for further developments in Republic of Kosovo .